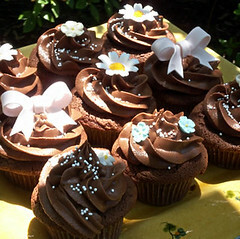 What beautiful cupcakes ... have I mentioned how much I love this blog? I can't believe how long it took me to find it! Billy did not create this recipe...and neither did Lauren. Stop crediting these recipes to Billy. He doesn't even know how to bake.